With over 25 years of Basement Finishing experience, trust Utah Basement Finishing for all your service needs! We provide full turn key basement finishing - allow us to complete you basement project from start to finish. You can rest assured that we will give you fair and honest pricing. We want to earn your business, and create your dream basement. Are you looking for the most affordable and honest basement finishing company in Utah? Your search ends here! Utah Basement Finishing (also known as SALT) is Utah’s premier basement remodeling company. We take care of everything from concept design to finish! Request a free estimate today or give us a call! With over 25 years experience and real focus on customer satisfaction, you can rely on us for your next basement finishing project! We do it all from start to finish including all rooms, kitchens, game rooms, and living areas! We are the industry experts when it comes to Basement Bathrooms in Utah! 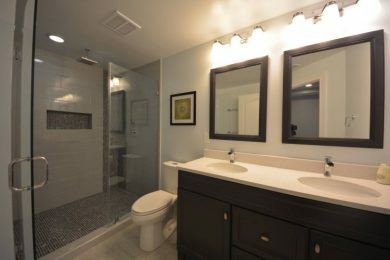 Trust us with all your bathroom project needs! We are the industry experts when it comes to Basement Bedrooms in Utah! Trust us with all your bedroom project needs! We are the industry experts when it comes to Basement Finishing in Utah! Trust us to complete all your project needs! Utah Basement Finishing operates as SALT LLC – SALT has established itself in every major city of Utah offering wide range of basement finishing services. To handle all kinds of customers’ queries and requirements, we have contractors in most Utah cities. Our specialists and experts are available to provide reliable solutions to diverse basement finishing projects. Learn more About Us. We know basement finishing in Utah! If you need an experience basement finishing company with the industry best contractors you’ve come to the right place! We design every basement as if it was our own. We want you to love the finished project and so do we. Rest assured you will have a basement that all your friends and family will envy! We understand that every individual has a certain budget set aside to put into their basement finishing projects. Let us know what your willing to work with and we can provide the plans and ideas to match it accordingly! Utah Basement Finishing provides excellent quality basement finishing services in different areas of Utah. Our technicians are available to solve all your queries related to basement finishing. Moreover, we have different packages covering various aspects of basement finishing that you can select as per your requirements and budget. With our effective quality control tools and methods and our regular inspections we make sure to conduct, we guarantee unconditional customer satisfaction. We make complete usage of our experienced team and guarantee only quality products and services. Moreover, you can be rest assured to get the services of only licensed and insured subcontractors when you hire us. Our price range is diverse catering to every need of clients looking for basement finishing services in Utah. We deal in providing both lavish as well as pocket friendly services. However, there is no difference in the level of services offered with different packages. Before Utah Basement Finishing was created we realized there was no one that specifically specialized in complete turn key basement finishing services in Utah. We set it out as our goal to make sure all our customers could experience a seamless experience from start to finish in completing their basement projects. Fast forward to today, we are one of Utah’s top basement finishing companies! 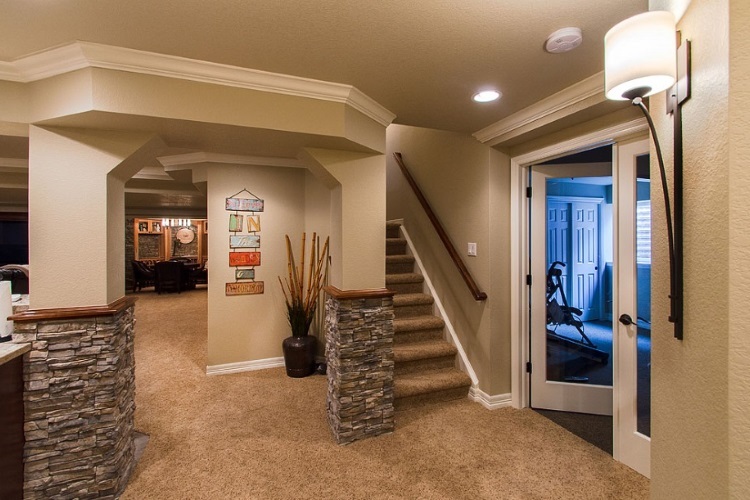 We enjoy 25 years of experience in offering the best of basement finishing services in Utah. Our long years of experience have gained us expertise in offering the flawless services. Moreover, with time we have also learnt the task of accomplishing the basement finishing projects on time. We make sure to use only quality materials so that there are no or less complaints with our products. These qualities assured products make our basement designs lively. This is why our basement designs and end results are just perfect and very much in demand. Utah Basement Finishing is a firm possessing high professional standards. Moreover, we strive hard to maintain this consistency in our quality of services. This has brought us many accolades and Utah Basement Finishing has become a renowned name in the field. "Absolutely amazing work. The basement looks stunning. 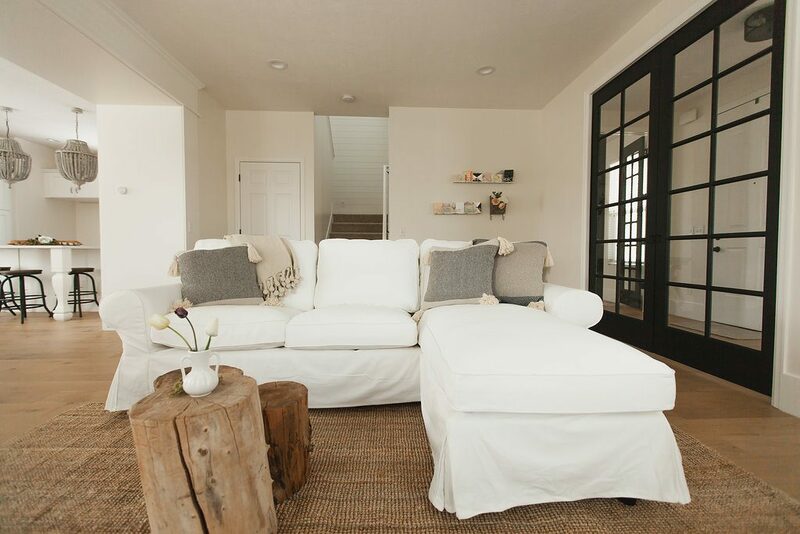 I am so happy and impressed by the work that was done by Utah Basement Finishing! If you are looking to have your basement finished call these guys!" "We would like to thank Utah Basement Finishing for their exceptional and professional work. They completed our basement on time and on budget. We could't be any happier!" "Finding you guys was a godsend! I didn't have to deal with any headaches! You guided me through the entire process and took care of every contractor step through out the process. A+ work!" Salt Lake City is a brilliant city and is regarded as a highly accessible destination in Utah. It is a city which offers lavish lifestyle and dynamic urban experience to its residents. Thus, the houses here are also built complementing the luxurious standard of living here. Understanding this trend, Utah Basement Finishing has been assisting the residents in transforming their basements into a useful space. Basement finishing is a process of handling all kinds of different repair and modification work in a basement to give it a new shape and form. We have been handling all kinds of basement finishing in Salt Lake City for past 15 years now. Our firm has earned a good reputation here and we make sure to live up to our good name. Our team is fully trained to undertake all basement finishing tasks in an impressive manner. This is the reason why our clients are completely satisfied with our services here and recommend our names as well. Our undertaken projects in Salt Lake City, Utah have been completed with precision and we are on a lookout for new and exciting projects every day. So, contact us and get that perfect basement finishing in your stipulated time. Seeking a moist and mold free basement in West Jordan, Utah that can be easily used as an extra storage space? Moreover, a basement finishing done brilliantly gives you a space that you can rely upon in days of natural disasters. This is where we come in. Utah Basement Finishing is a firm providing basement finishing services in West Jordan for past 15 years now and we have been doing it quite successfully. West Jordan is a perfect tourist place and a living habitat for people looking for job opportunities. The city is home to many industrial units and thus more and more people from across the country want to come and reside here. Thus, living standards here have risen and so the houses here have been built complementing the busy life of the city. Air leaks, molds, little or no insulation can lead to maximum energy wastage and can also lead to discomfort in your upper living spaces. Properly insulating the basement as well as adding features such as highly-efficient windows and doors can lead to a considerable reduction in energy needs and costs as well. So, what are you waiting for? Come over and save your hard earned money and reduce your energy needs as well with Utah Basement Finishing. The empty space in the lower part of your home can become anything you have ever imagined and even more. Your basement can become a home within your home. Apart from having a complete set of home, you could also utilize your basement as your private movie theater, personal home gym, children’s play area, banquet hall for parties, recreational area, office and even an indoor pool. We provide professional yet affordable services for basement finishing. If you have imagined it, we will create it. We have a team where each one is specialized in their specific domain area. We take care of your electrical needs, heating, plumbing, flooring, window and ventilators, ceiling, wall finish and much more to make your basement an above-grade living space. Our team will be more than willing to transform your shabby, dark and damp basement into a luxurious basement finishing. You can depend upon us to give a makeover to your basement at a very reasonable cost. We are the most trustworthy basement finishing in Sandy, Utah. We can make the state-of-art basement finishing with our professional skills and ideas and your imagination. You can now convert the idle space of your home into ideal space of your home with superior basement finishing. When you are redesigning your basement, you would definitely want it to align with the design of your rest of the house. It should look and feel as if it is just another room of your house and is not an aloof or a storehouse for you. Thus, you need to hire a firm that has been providing basement finishing services in Layton to many clients. Utah Basement Finishing is one such firm that holds long experience in handling all aspects of basement finishing in the area. Some people are not able to understand that basement is not for storage only. It can add up to your living space if finished properly. Moreover, if proper planning and techniques are used for finishing a basement, it can be a perfect addition to your house. Imagine a room which was just holding your extra stuff being turned into an imperative part of your house. This is what Utah Basement Finishing is a specialist in doing and has won many accolades in the field. Moreover, we make sure that there are no unnecessary works done in the basement. Our technicians first go for a personal inspection and then start on the work. This provides transparency in the process. Home owners often feel quite disturbed when they have to go for basement finishing. However, it can turn out to be a rewarding task if done properly. Planning stage of a basement finishing is very important as some major considerations need to be made at this stage. We at Utah Basement Finishing understand the importance of this planning stage and make sure that not a single aspect of basement finishing is missed at this stage. This strategy has earned us quite a large number of customers in Lehi, Utah and our new customers are also getting added up. Finishing a basement has many aspects to be covered. These include colors, lightning, layout, and windows. Our specialists have been trained enough to pay utmost attention to these different points for a perfect basement finishing. Moreover, our basement finishing projects have given extra living space to our clients as well. Lehi is a peaceful place and homes built here are also serene, beautiful, and wonderful. Thus, we enjoy a lot working on basement finishing and remodeling in the area. Moreover, we handle all kinds of basement finishing repairs and remodeling. So, leave all your inhibitions and contact us for a wonderful basement finishing. Provo is a city offering the best living opportunities to its residents without the need to travel to distant corners of the world. Moreover, the city is known for offering diverse cultural experiences to its residents. This is the reason why people seeking a rich cultural experience want to come and make their homes here. Homes in Provo are beautiful and spacious. Complementing the city’s Utah Basement Finishing provides ideal services for making their basements look good. From removing the molds, mildew to removing traces of fire and water damages to waterproofing, we offer all. Moreover, we specialize in making use of environment conscious techniques as well as tools. Our technicians are experienced and trained to handle all kinds of basement finishing tasks and we have never disheartened our customers. Basement finishing requires precision and regular inspections. This is the reason why you cannot just hire any unknown firm completing the task. You require a professional firm and Utah Basement Finishing offers that professionalism in Provo when it comes to basement finishing. So, come to us, discuss the entire project with us and give a new shape to your basement as per your requirements and wants. A basement is often overlooked as well as underused in our homes. Most of the times, it even gets filled with all the unused and extra stuff that is not wanted. However, a clean and finished basement can give you an attractive and lavish room in Orem. This can even lead to an increase in your house’s price value. Understanding the importance of a fished basement, we at Utah Basement Finishing have been working tirelessly to provide high quality services to residents of Orem. Orem is a city of beautiful homes where people are always looking for perfection. Thus, they understand the need for a finished basement very well. This is the reason why we are in so much demand in this city seeking innovative basement designs. Our technicians are kept on their toes with the rising demands for a basement remodeling or finishing. Moreover, our demands for an ideal basement are also becoming the talk of the town. 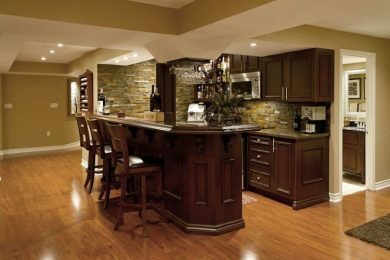 Many people however wish to go for DIY techniques when it comes to basement finishing. Though it may seem to be a wonderful idea but it is not successful. If you hire a professional firm, you can be rest assured that all the aspects of a finished basement would be complete. Basement finishing may seem to be a very easy task for sub-contractors while DIY homebuilders may find it a little challenging. However, if you are neither of them and wish to hire a professional and experienced firm, then we are there for you. Utah Basement Finishing has been providing all kinds of basement finishing services in Ogden, Utah for quite some time now. We have made a name for ourselves and we are proud of this fact. We have successfully converted many basements into effective home theaters, home gyms, recreational areas, etc. We are still undertaking such projects and that too quite successfully. Moreover, we discuss every detail of the project with you and make sure that the end result matches what you have in mind. We make use of quality assured products and ensure that the entire project happens to be pocket friendly for you. This is the major reason why our clients are coming back to us in Ogden especially for any kind of basement finishing work they have. Moreover, many online and local forums as well mention our name among the top basement finishing service providers in Ogden, Utah. In fact, it would not be incorrect to say that half of basements in Ogden have been designed and finished by us only. With rapid changes in the construction scenario as a consequence of a slowdown in the home construction, it becomes imperative to take great care in choosing a perfect basement finishing firm. However, finishing basements has always been at the bottom of homeowners’ priority list because the profits are actually low. Well, this is a myth. A finished basement does add great value to your house’s sale price. This is why many residents are going for basement finishing. Moreover, you need to pay attention to choosing the right contractor for completing the task. The contractor should be highly responsive, should be responding to all your appointments, and should be able to promise you timely completion of the process. They should be polite in talking so that you can easily discuss your requirements. Moreover, it is advisable to check the references for judging the service providers’ good reputation. All these qualities can be easily found with Utah Basement Finishing in Utah. Our office in South Jordan has been established with lots of hard work and dedication and has been successfully completing the projects. Our specialists are well versed in handling all kinds of basement finishing and that too within your stipulated budget. 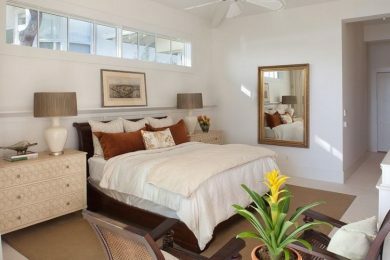 We all desire a peaceful and cozy home and thus keep on working on making our homes into wonderful places to reside. Do you know that in this process, basement finishing can also play an imperative role? Freezing homes are not at all welcoming. Thus, if you want to have warm house, then basement finishing is a must. Utah Basement Finishing is a firm giving you flawless basements in Draper, Utah. Remember, there are a number of factors to be considered while going for basement finishing. A DIY technique may not allow you to keep all these factors in mind. Thus, a professional firm working solely on providing these services can offer you the best of services. This is the reason why many residents in Draper are turning to Utah Basement Finishing to get their basements remodeled. Our team of experts has worked wonders on different kinds of basements. They understand that the environment of the basement is damp and musty and thus needs extra efforts for finishing. 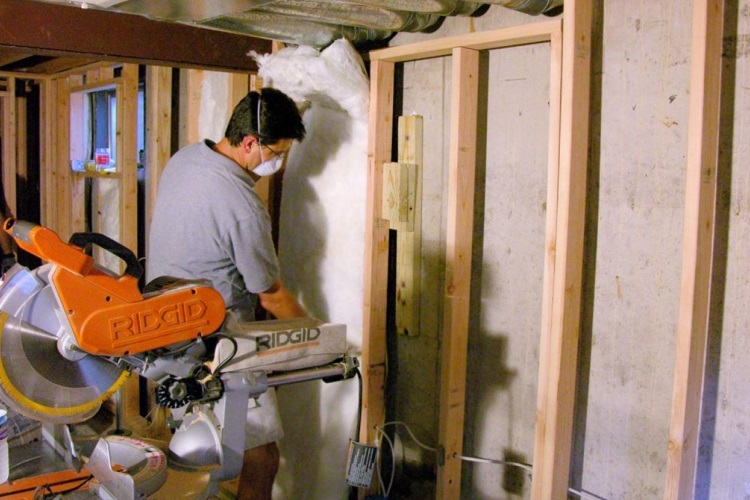 Moreover, we also take care of room insulation when working with basement finishing in Draper. So, bring all your requirements to us and we will make a flawless finished basement for you. Are you looking to finish your basement in Riverton Utah? Utah Basement Finishing is here to help! We’ve been helping residents of Riverton complete their un-finished basements that they have put on the back burner. If you’ve been considering getting this done, look no further. We offer the best and most affordable basement remodeling services in Riverton Utah! If you have just built a new home in Herriman Utah and you need your basement finished, we are the perfect company for you! We take care of finishing your basement from start to finish! Let us design and remodel your basement! 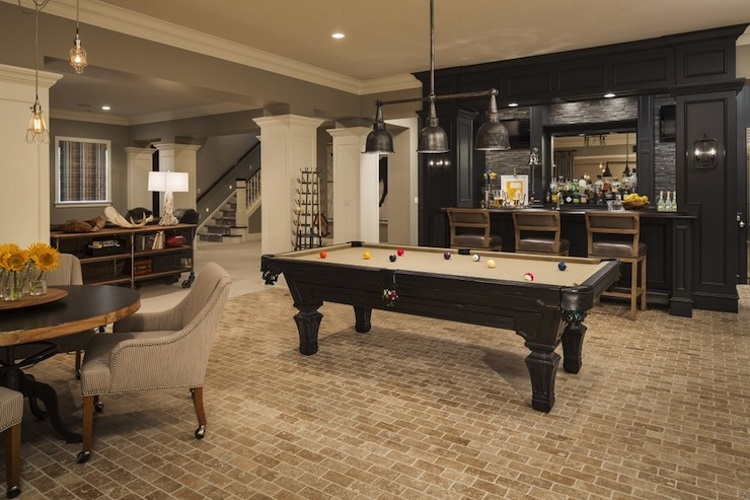 No one does it better than Utah Basement Finishing! Are you looking for a Basement Finishing Company in Cottonwood Heights? We are here to get the job done at an affordable cost and on your schedule! When it comes to Basement Remodeling in Cottonwood Heights, Utah Basement Finishing can not nor will be beat!